By Victor Balasa in Blogging. Updated on November 14, 2017 . Content is everywhere. The Internet is full of it. The obvious question arises: How can you make your content stand out and become the most viewed, most shared piece of content on the Internet? The good news is, The Holy Grail of Virulence is attainable. But there are a few key rules to adhere to. They’re all part of the Dark Arts: Marketing and manipulation. I’ll be sharing them in this post, and be forewarned there is a lot of reading up to do in this post and outside of it, but use them at your own peril and always try to create and promote useful content. Or you could stop reading now. You in? Let’s go. Are you familiar with that amazing breed of consumers who are absolutely raving fans of your content? They always watch your show, read your stuff or analyze your designs. That’s where you need to start. Those are the folks that will share your content most often, in the most genuine way with a touch of their personality. Don’t say you have no hooligans, no people in your corner. Every single content creator out there has at least a handful of fans cheering for him. Start there. Start small. Your "hooligans" will give you awesome tweets you couldn’t have created on your own, follow then repin ALL your Pins and add geo-localized (hooligans usually write in their native language) comments on your Facebook updates! Why start with them? Well, because emotions trump logic, hooligans attract hooligans, and numbers trump quality. Give special, additional behind-the-scenes content to your core user base: exclusive access, free trials (first! ), contests that are only for them to try out. Interact with them, send emails on their special days, credit their help on the site, give them badges for your forum. Goodies keep them happy, and appreciated. They will love you for it. You have 3 options: Video, Pictures and Text. If you are unable to use all three in conjunction, pictures seem to reign supreme and videos are also on the rise. It’s harder to stir up emotions through plain written words since the Internet is full of visual folks. In fact, I would go as far as saying that if you aren’t promoting your content through pictures and through videos, you’re totally missing out! Your content should make heavy use of photos, and obviously your Facebook update promoting that content should contain the best photo available. 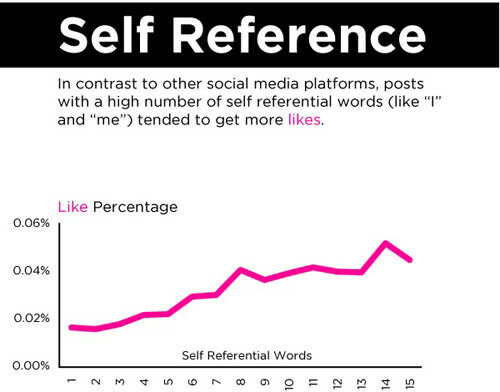 For more on this, check out this breakdown of Facebook’s most liked, shared and commented content, put together by Dan Zarella. It appears that, (surprise!) people respond to retweets and share requests with… retweeting and sharing! This means you should totally end your articles, videos or pictures by asking the viewer to like, tweet, rate, comment, etc. In regards to promoting that content, make sure to also ask nicely for it. Here’s a great article containing more details about how and when to ask for retweets. This doesn’t apply only to Twitter. Follow these rules on any social platform. As I’ve said. Content is everywhere. You need to make your content stand out. 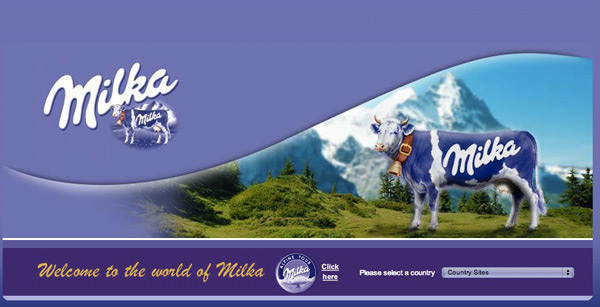 Exactly like the guys at Milka have done. Their logo stands out among other logos simply because the majority of other chocolate manufacturers use a normal cow in the logo or advertisments. The guys at Mondelez International went with a Purple Cow, and now people instantly recognise their brand. The challenge with creating your content is making it as remarkable as possible. Usually that means being the first to present something or presenting it radically different than anyone has done before. So before sitting down to create your stuff, make sure to add at least one Purple Cow element to it. The Internet is an unconventional media channel. Whereas before, we had magazine covers and TV ads, we now chose what information we consume by mostly analyzing the headline. Now writing titles, that is a whole new post by itself, but why reinvent the wheel? Here’s a cool guide on writing great titles by Jeff Goins. You should also check out this SEJ piece on the same topic. For articles, you can follow the conventions of creating "How To" pieces, "Top Tips", "Ultimate Guide" but twisting it by replacing certain keywords. For example, instead of going with the conventional "Ultimate Guide To…" title, try "The Secret Guide To…", "The Dark Arts Guide To…". 5. Should I write full conclusions? No. Always use open-ended endings. Always leave space for people to "fill in" and add to the content by commentating or sharing. many of your readers are dying to share their opinions on any subject under the Sun; some of them need an invitation, some of them don’t. But invite them all the same. Everybody loves them. In my book, infographics are probably the most shared content on the Internet. Seriously, everybody loves them. You should use them as often as possible. Even if you don’t do a complete infographic, doing a partial coverage of one will improve the chances of your stuff being shared. On a budget? Check out PiktoChart for creating your Infographics or these other fancy tools to help you build your own infographic. 7. How much should I work on the content? This one’s simple. Work until you’re sure you’ve added as much value as possible! Verify your content after finishing and ask yourself, have I added as much information and as much value to the viewer as I possibly can? You’ll know the answer but it is important to be honest with yourself. If you feel tired, take a break and continue with your content creating later. Don’t stick your name on half-finished projects. Be patient and keep working. You’ll get there, no need to rush. But remember that the bar shouldn’t be someone else’s work. You should fight against yourself and try to give your all. Add maximum value by giving as much easy-to-apply steps as possible. Humans follow other humans. Many content creators fall into this trap. You shouldn’t. Don’t put out posts, videos or pictures which present topics from the normal, socially accepted point of view. If you’re reporting news or creating original content, first check out what the majority of people are saying about that particular topic. If you are able to contradict them all, while making a solid case, with really grounded arguments, you’re bound to go viral. So do it. Paddle against the current and you’ll reap the benefits. 9. Am I talking in a negative, personal voice? Self-references really help. Use I, me, I would do this, and other similar paradigms. You don’t even have to be an expert. Even Bill Gates said "If you can’t make it good, at least make it look good." That’s to say, you need only appear as an expert, and people will share your stuff. People love to see, hear or read your own personal view. People love powerful personalities and experts. Always talk about yourself and how you see things. Also, besides making use of your voice, try to be negative and use fear to motivate people into using your content. The principle is simple: the fear of losing something usually outweighs the desire to gain. This can easily be applied to creating content. When making a video, shift the paradigm and talk about what the user stands to lose by not watching the video. George R.R. 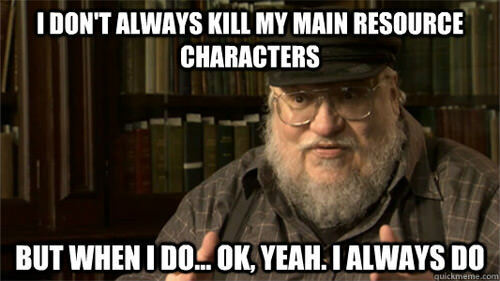 Martin wrote Game of Thrones but is more known for killing his characters without apology. He applied all the principles above, writing in a personal, negative voice, seeing the world through different POVs. He intrigued people with his titles and subheadings and added tremendous value by basically adding historical inspiration to his fantasy novels, essentially reinventing the genre. Game of Thrones is one example of a well-fed Purple Cow. He builds you up, lets you fall in love your favorite character on the show (and hate that one kid who you really really want to strangle), then kills them all! That’s bold. That’s dramatic. That gets him more "eyeballs". His books are best sellers because he’s the first to actually do that on such a large scale. His killing sprees made him into a celebrity. You need to create your own dramatic twists with your content. His method, ask yourself "What do people expect to receive? ", then do the exact opposite. Go out with a bang. They’ll be hurt, but eventually they’ll love you for it. And there you have it, your tips to make your content go viral. Now go make something viral.